The Kyser Drop-D Quick-Change is a tool for creative exploring. With it, you can get new, richer sounds from your guitar without having to relearn how to play the chords you already know. 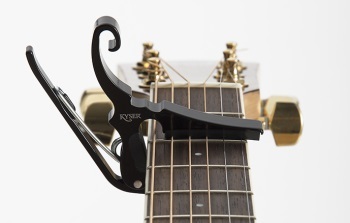 The Kyser Drop-D can be used on any fret, in standard or inverted position.